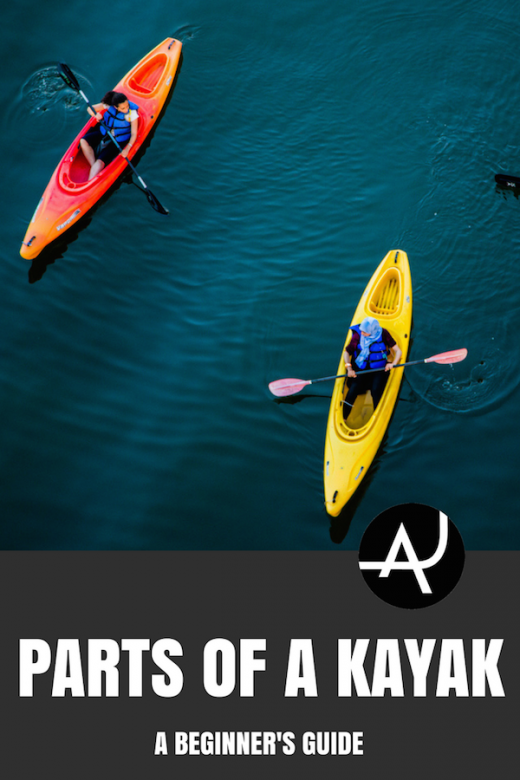 WHAT ARE THE DIFFERENT PARTS OF A KAYAK? 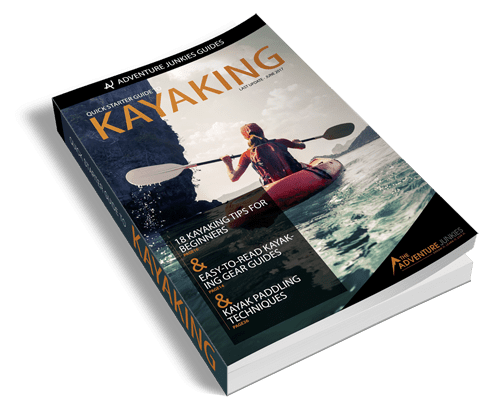 Just like a rock climber should be familiar with their equipment, a kayaker has to know the basic parts of a kayak. Did you ever think about the fact that a kayak isn’t just one solid piece of material? Did you realize it actually consists of several different parts? 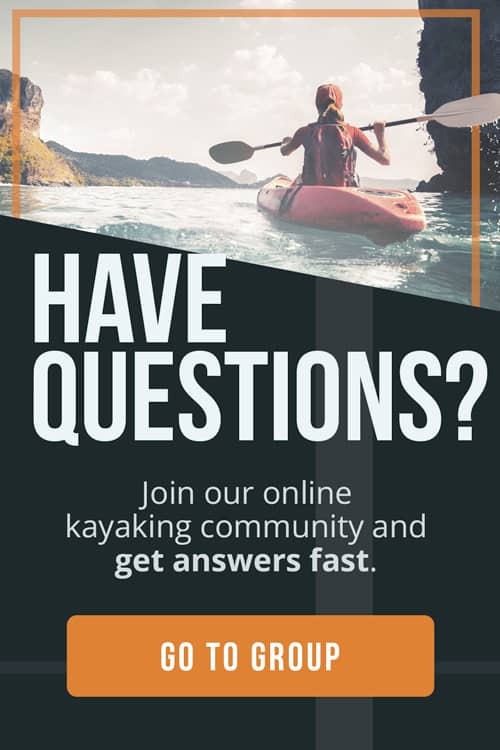 If you’re interested in learning about the different parts of a kayak, you’ve come to the right place here at The Adventure Junkies informing people about outdoor gear is what we do best. To understand the whole thing—and how to use it—you have to know its individual parts. So, in this article, we’ll delve into the anatomy of the kayak, zooming in on all of its major sections. 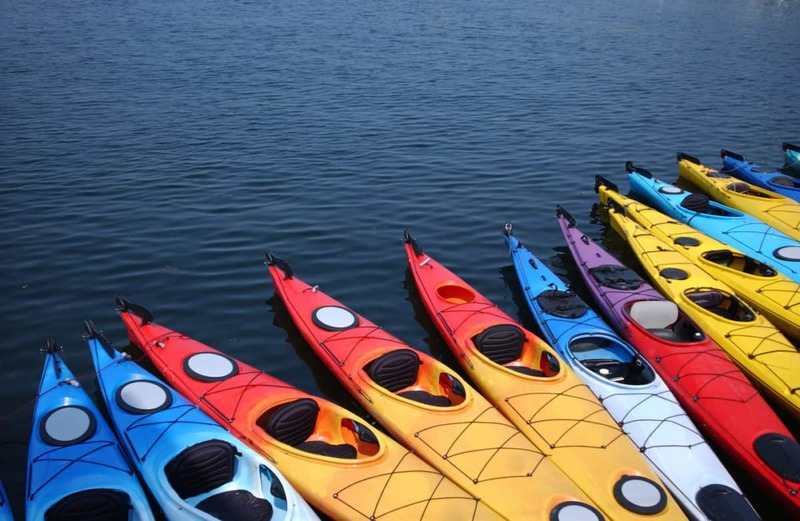 Before we take a look at the individual parts of a kayak, let’s start with the different types of kayaks. 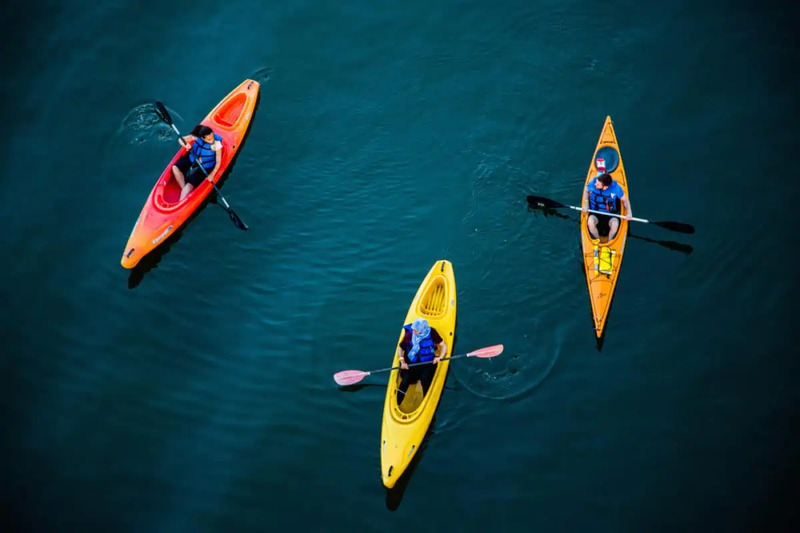 If you’re looking to buy a new kayak, it’s important to figure out which type is best for you. Arguably the most used type of kayak, creek kayaks are high-volume boats. Their large decks and volume prevent the boat, or ends of it, from submerging. Stubby tips prevent vertical pins while edged bottoms give you more control in eddies and waves, making them ideal for more challenging rivers. Creek kayaks are also the longest type of kayak. This type of kayak is best for beginners. Also, because of their floatability, they are sometimes also useful for experienced kayakers. Downriver kayaks find themselves somewhere between a creek and a play kayak. They let you navigate a river while also offering some room for play moves. Overall, downriver kayaks are so great because they’re controllable and comfortable, but also allow for some added adventure. Downriver kayaks are excellent for more advanced kayakers. This type of kayak is used by experienced kayakers. They use it for performing tricks and surfing waves. Play kayaks have much less volume in the front and back; its volume is centered around the cockpit. These boats also have a very flat hull, which allows kayakers to plane on the water and spin around. 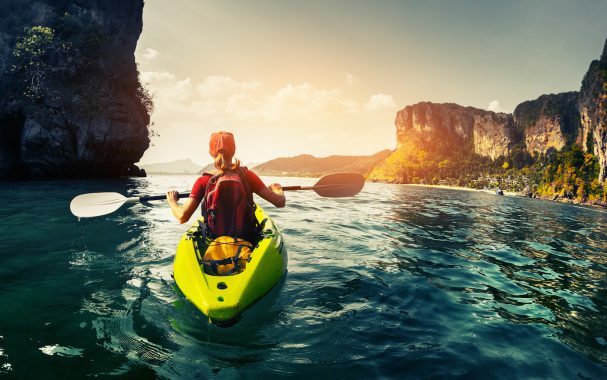 Play kayaks are exceptionally maneuverable but require serious skill. Play kayaks are suitable for highly skilled kayakers. The hull is the bottom half of a kayak. It comes in two different shapes. One style is the displacement hull. This style is a traditional shape of boat, with a so-called centerline or keel that runs underneath the boat from front to rear. Displacement hull kayaks have a streamlined and rounded shape and plow through the water. This is the type used on almost all kayaking trips. The second style of a hull is the planing hull. This one is seen in play kayaks. Planing hull kayaks have flat bottoms and angled sides. This kind of hull does also plow through the water, but only at very slow speeds. At higher speeds, planing hull kayaks skim the water, making them very maneuverable. This requires you to have good kayaking skills, though, as it’s hard to keep this type of kayak moving in a straight line. Where the hull is the bottom of the kayak, the deck makes up the top. This is where you’ll find most other parts of a kayak, from the seat to hatches and handles. The sitting area of a kayak is called the cockpit. This is a large hole in the deck, usually in the middle, where you’ll find the actual seat. Depending on your kayak, the seat is placed directly onto the bottom of the boat or suspended from the rim of the cockpit. Boat-ed.com says that the cockpit coaming is the watertight material that you see around the cockpit’s rim. This is a kind of waterproof fabric that you can pull around your waist and then attach to the cockpit coaming. The spray skirt will effectively seal off the cockpit and keep water outside the kayak. Inside your kayak, you’ll probably find a pair of foot-pegs. These small pegs are essentially footrests. 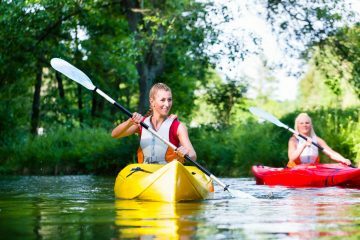 You can push your feet against them when paddling, allowing you to use your hips to maneuver the kayak. Some kayaks don’t have foot-pegs, though. Instead, they’ll come with bulkheads. These are adjustable foam blocks that can be placed under your feet. Bulkheads may also offer extra support for the kayak’s deck. Sometimes, you can even use them to create watertight storage compartments. Deck hatches are found on one or both ends of your kayak. They allow you to store your gear under the front and/or rear deck. You can close hatches with watertight covers. When using bulkheads, you can make the entire compartment watertight as well. The deck of your kayak offers additional storage space. The way to keep things secured on your deck is with the shock-cord or bungee-cord deck rigging setup. You can stuff gear that is allowed to get wet (or is waterproof) under these cords for easy storage and/or access. A kayak will always have a front grab handle, so you can pull it out of the water. Some kayaks may have grab handles on both ends, which make them easy to carry around if you have a partner. The stern is the rear end of your kayak while the bow is the front end of your kayak. Use these terms if you’re serious about kayaking. Don’t say front and back, but say bow and stern. 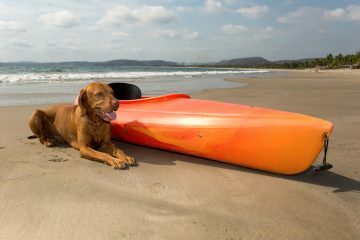 Just like bow and stern, starboard and port are mandatory terms to know as a kayaker. Starboard is the right-hand side of the kayak when facing forward. Port is the left-hand side when you’re facing forward.